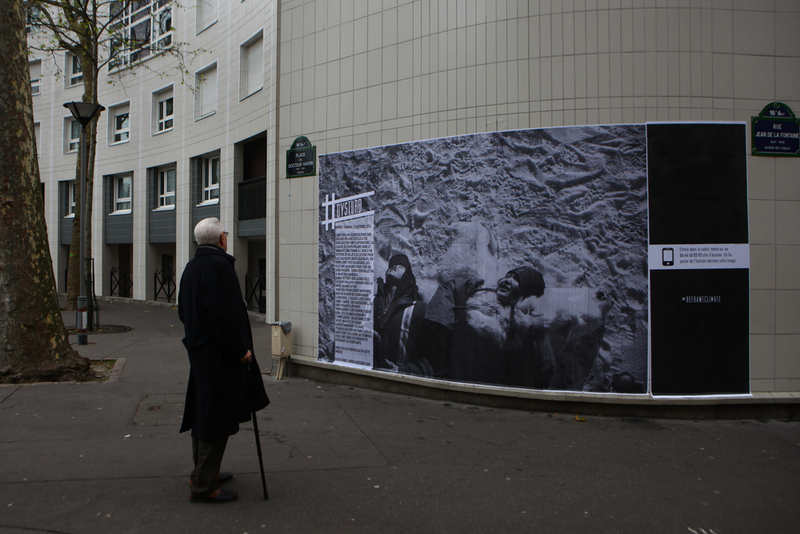 Beginning as a street intervention in Paris during the COP21 Climate Change Summit, #Dysturb and Magnum Foundation’s #reframeclimate initiative challenges the stereotypical notions of what climate change looks like in order to expand and deepen perceptions about its many implications. Most recently, #reframeclimate made its mark at the Look3 Festival of the Photograph in Charlottesville, VA, where passersby and festival attendees could find large-scale images from around the globe wheat-pasted on the public-facing facade of the Landmark Hotel, Violet Crown Cinema, and the Bridge Progressive Arts Initiative. Representing a range of creative visual approaches and countries, this expanded collection of images tells stories of climate change not only as a factor in our daily lives, but also as a player in major socio-political shifts. Each print presents an SMS prompt inviting viewers to hear directly from the photographer about the issue depicted, and to engage in a conversation on Instagram. Pertinent statistics on climate resilience, environmental justice, and urban governance are included alongside the images. The photographers included in this iteration of #reframeclimate work both internationally and in their home regions. They are: Jonas Bendiksen, Sima Diab, Matilde Gattoni, Georgina Goodwin, Katharina Hesse, Ed Kashi, Arati Kumar-Rao, Yuyang Liu, Ed Ou, Probal Rashid, Vlad Sokhin, Ruben Salgado Escudero, Mauricio Susin, Ian Teh. 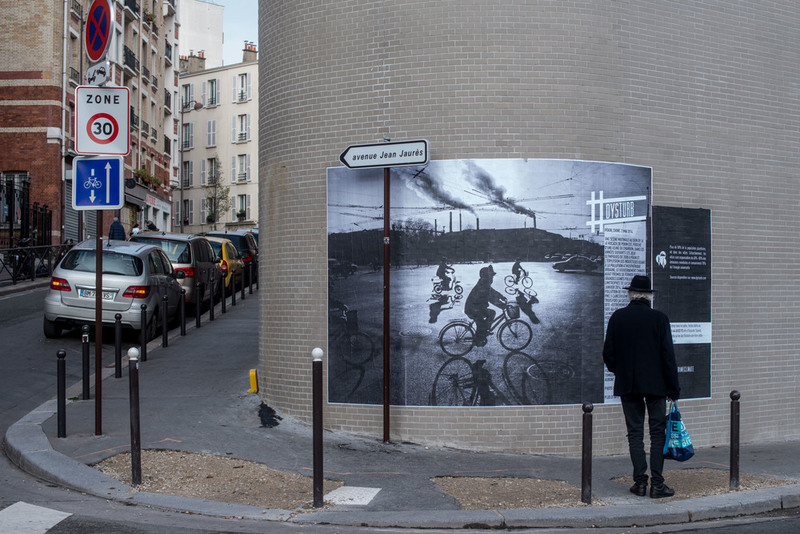 Magnum Foundation joined together with #Dysturb to curate 25 images from 17 countries around the world and adhere them to public facing buildings and facades throughout the city of Paris during the COP21 climate change summit. With generous support from the Compton Foundation, this initiative is folding compelling, documentary images into the visual vernacular of climate change — challenging the notions of what climate change imagery looks like and sparking dialogue among passersby who won’t be seated at the negotiating table. Each pasting also presents a pertinent scientific statistic and a prompt for an SMS interaction to hear the story behind the image directly from the photographer. Deferring to climate experts, Magnum Foundation invited researchers from the Yale School of Forestry & Environmental Studies to draw from their work on climate resilience, environmental justice, and urban governance, and to distill their findings into facts to be matched with each image. Supported by Twilio.org and developed by a team of students and research residents at the Interactive Telecommunications Program (ITP) at NYU Tisch, the SMS interaction allows viewers to text a key word to a number and then immediately receive a phone call with an audio recording from the photographer. This can also be accessed internationally for anyone looking at the collection online. Together with informative, scientific facts, it was a priority of the project to include the voice of the photographer, the direct eyewitness of the issue depicted. 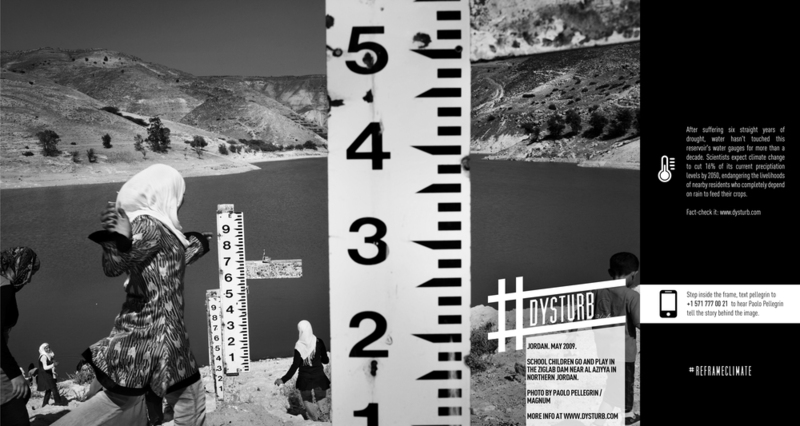 Both Magnum Foundation and #Dysturb believe deeply in making photography accessible. To push this project beyond Paris and extend the possibility for engagement to a global audience, the team at ITP produced a digital rendering of the installation process in the form of an embeddable 3D photogrammetry experience. From desktop and mobile, viewers can navigate a selection of the pasting sites, watch the actual pastings, and hear the audio component. 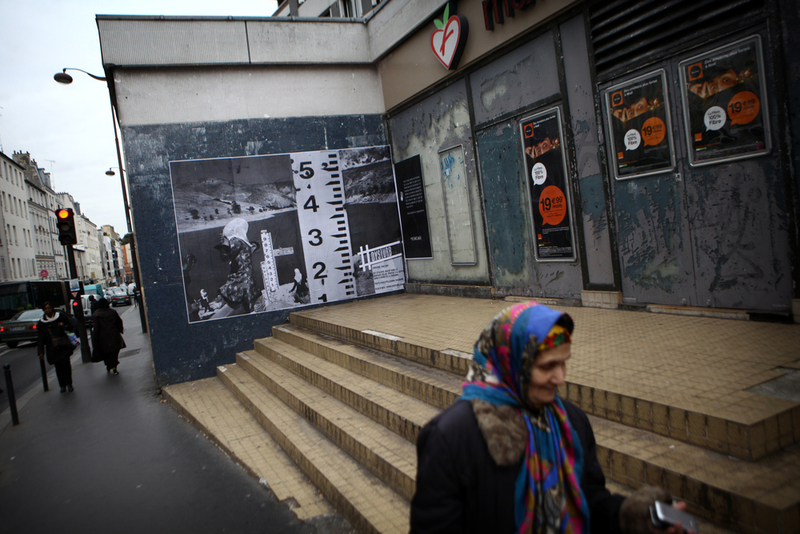 This immersive experience memorializes the temporary lives of these pastings and upholds the unique physicality of discovering them in the street. Evgenia Arbugaeva, Jonas Bendiksen, Matt Black, Michael Christopher Brown, Guillaume Collanges, Souvid Datta, Lu Guang, David Guttenfelder, Ciril Jazbec, Ed Kashi, Thomas Lekfeldt, Yuyang Liu, Kadir Van Lohuizen, Gideon Mendel, Nick Moir, Katie Orlinsky, Ed Ou, Paolo Pellegrin, Ruben Salgado, George Steinmetz, Giulio Di Sturco, Ian Teh, and Laurent Weyl.